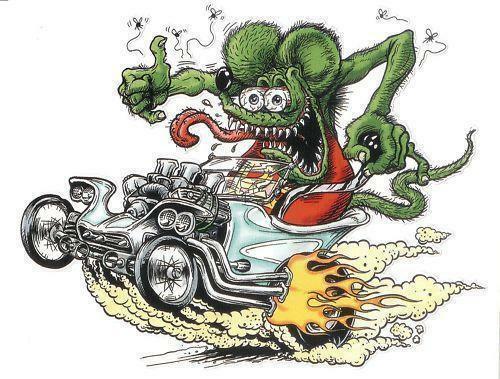 A character created by artist Ed "Big Daddy" Roth became a cult fad in the 60's with models and figures available. It was even a fashion fad among teen boys with T-shirts available. I had several models and a talented high school senior would airbrush a picture for you if you brought him a T-shirt and $2. Needless to say I had couple shirts also.